This wheel is tough! And, it's a recommended product by the EngineerSupply Team. With its Oval-Shaped Tube, it proves to be a strong and lasting tool. 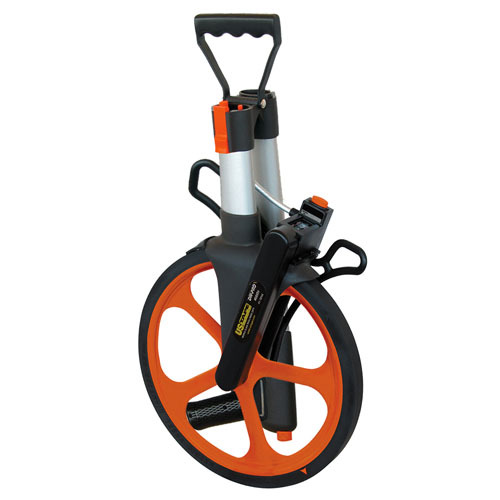 The Heavy-Duty Commercial-Grade DW-PRO Measuring Wheel is designed and built for the professional user. You can feel the difference as soon as you pick it up. When you click the handle to secure it into the upright position, it's a very secure and quality click. You can feel the quality and strength with the oval shaped tube design (an oval is stronger than a circular type tube). Pistol Grip Handle: A hefty and ergonomically designed pistol grip with convenient brake and counter-clear controls at your finger tips. 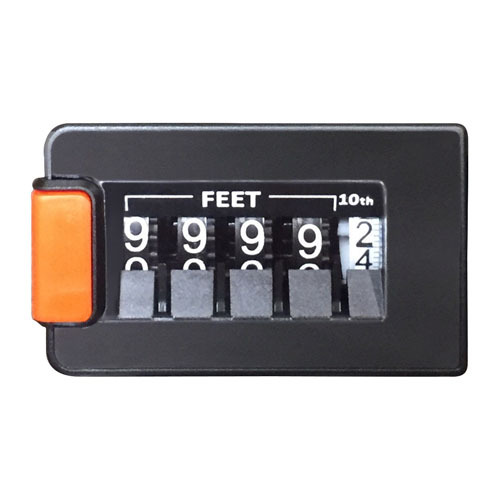 Another handy counter-clear button is located at the counter head, which means you have a button down low, and a button up at the handle that will reset the counter back to zero. A very convenient design that impressed us the first time we used one. Folding Handle: The unique folding handle design offers compact storage. 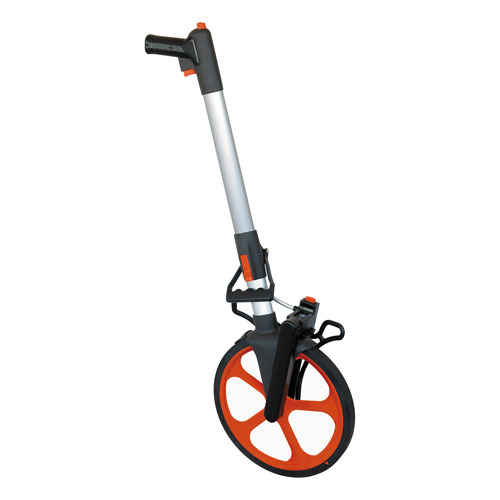 Once folded, the unit can be carried by the built-in carrying handle. Counter: Smooth counter operation via "lifetime" timing belt drive. This design isolates counter from surface vibration. The DW-PRO measures to the nearest unit and up to 10,000 Feet or Meters. Kickstand: Note the wide footprint and stable design of this sturdy, stow-able, spring-loaded stand. The kickstand frees your hands which is great when you're writing measurements down and have more measurements to make. Warranty: Manufacturers Limited Lifetime Warranty against defects. Any DuraWheel that fails to perform due to a defect in materials or workmanship, please contact manufacturer for instruction on repair or replacement. Damage from abuse is excluded. 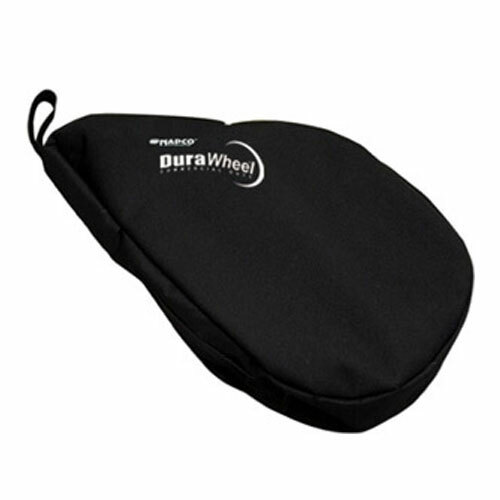 We have owned all brands of measuring wheels over the years and the DuraWheel is definitely the toughest wheel and easiest to use. We buy 10 at a time for our Asphalt Paving Company. Jim S.
Best measuring wheel for the money. They last a long time even though our crew members dont take care of stuff like they should. Very solid feeling in your hands and rolls and counts good. I will be buying more for my crew.